One of the questions that all managers, training personnel, and decision-makers ask themselves when selecting a training program for their workforce is which styles of training will enable their employees to best apply the lessons learned in the classroom to the workplace. With all the time and money spent on training, it only makes sense that you want as high of a return on your investment as possible. While a lecture based course does a great job at presenting the information in a quick and orderly fashion, it is not only difficult for a student to retain all that information but it is also a challenge to completely understand how that information will apply to them when it comes to their day-to-day responsibilities. This means while a required training might be checked off a list with little downtime to production, it doesn’t translate into well-trained employees. This is a compromise that can lead to workplace accidents, operational downtime, and further re-training costs. Scenario based training is a teaching technique that is still relatively quick to complete, but provides trainees with the opportunity to develop the proper application and technique of a given theory. The main goal is to align the material being taught with the everyday situations an employee is going to see in the field. Not only do instructors provide the context required to make that bridge, students in a scenario based training program are involved in hands-on exercises where they practice and perform the same decision-making skills and safety techniques that will protect them when they get back on the job. To provide you with some more clarity on how scenario based training differs from traditional methods, here are some examples that illustrate the different techniques. Electrical Safety NFPA 70E® – While traditionally a lecture based course, a scenario based approach provides students with an increased knowledge and understanding of why the standard is constantly revisited and updated. Group exercises solidify the importance of procedures such as completing a Job Safety Analysis, establishing an emergency response plan, and hazard identification and mitigation. Hands-on experience in the classroom bridges the gap left by a lecture class and prepares employees to handle safety equipment to minimize risk of injury, verify a circuit electrically safe via the 3-point method, and ensure proper Lockout/Tagout procedures are understood and repeatable. Heating, Ventilation, & Air Conditioning [HVAC] – Lecture based courses do a good job at relaying a lot of information in a timely manner, but the depth of knowledge that is retained is often not enough to truly excel in the workplace. Scenario Based Training in HVAC classes builds troubleshooting skills for technicians that allows them to identify, correct, and prevent breakdowns or imbalances in HVAC systems. Specific hands-on scenarios can include evacuating a vacuum, recovering refrigerant, combustion analysis, and more. These skills translate to more efficiently tuned systems that are predictable and reliable. Safety is increased through improved retention of the course material. Using the wise words of Benjamin Franklin, “Tell me and I forget. Teach me and I remember. Involve me and I learn.” Your employees will be actively learning in a scenario based training environment because they are involved in the lessons and aren’t just passively listening. What does that mean for your business? Safe employees who understand that accidents can be prevented by following the correct procedures. Effectiveness is increased through providing additional context in the classroom. Decision making skills and job-performance techniques are practiced throughout a variety of group and hands-on exercises in a scenario based course. When employees return to work and are faced with a challenging situation they’ll understand what actions need to be taken to correct the issue. These troubleshooting skills will vastly improve your businesses operations by cutting down on stoppages. Efficiency is increased as a result of Safe and Effective employees. Understanding how to be safe in the workplace is important, but it only means so much if employees aren’t able to identify and correct issues. On the flip side, if an employee understands what task needs to be done, but isn’t giving the proper considerations to safety processes accidents can and will happen. Neither of these results are entirely efficient. However, by strengthening the knowledge, skills, and techniques that are important to both safety and effectiveness your skilled workforce will make your company stronger. If you are interested in Scenario Based Training courses and the benefits they can bring to your business, please reach out to a friendly NTT representative to learn more. 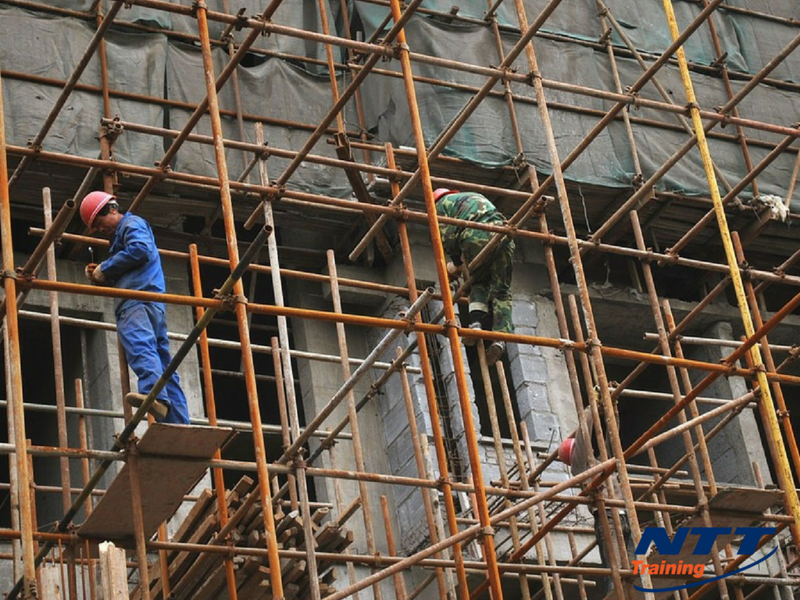 NTT Training offers a variety of Scenario Based Training and Hands-on courses that will help your business achieve its safety and operational needs. For more information about National Technology Transfer or any of our programs click here: http://www.nttinc.com or http://www.nttinc.com/seminar-list-catalog/.